Known as one of the most competitive within the industry of grocery retail stores, Brookshire’s Food and Pharmacy has a sizeable presence in America. This food and pharmacy store is based in Tyler, Texas. It is a privately owned company. Wood T. Brookshire founded the company on September 1, 1928 in Tyler, Texas. The small grocery store started with 2,500 sq feet of land and four employees. The company now owns over 170 stores. It more than 13 thousand employees working under its name. They currently operate a number of food stores in Louisiana, Texas and Arkansas. 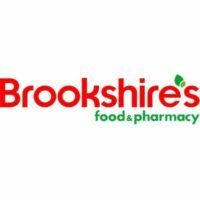 Brookshire’s Food and Pharmacy offers career development and flexible work schedules for their employees. They offer dental, medical and vision insurance and a 401K health benefits. This food and pharmacy establishment aims to help and support their employees as much as possible. Due to the reasonable working hours, there is a good balance of work and life. How Old do you have to be to Work in Brookshire’s Food and Pharmacy? Interested candidates must be 15 years or older in order to work with the company. Age requirements vary depending on the job title offered. Order Selector – responsible for product handling and attaching tags and labels on company products. Those who work as order selectors must demonstrate safety precautions in operating powerful equipment. Cashier –responsible for operating cash registers, providing customer services and assisting in sales. Cashiers also work in customer service desks and checkout aisles. They must have strong communication and interpersonal skills. Clerk – assists in cutting meats, baking pastries and bread. They are responsible for organizing and stocking shelves and offering assistance in basic sanitation, maintenance, and sales. Management – tasks may vary based on the specific department they’re in. Managers are responsible for hiring, training, supervising and scheduling employees. They are in charge of ordering and maintaining inventory within the establishment. Other positions available are meat clear, baker clerk, produce clerk, assistant manager, pharmacist, seafood clerk, and pharmacy technicians. Job qualifications may vary depending on the title. Candidates who wish to be part of the company may find application forms available in their official website under the Careers tab. Paper applications are also accepted and are available in stores. Brookshire’s Food and Pharmacy makes applying easy. Applicants can pick up the application form copies in-stores. They can download and pick PDF copies online or send application forms electronically using the company website. Candidates filing their application forms should give correct information and double-check in case of errors before sending to the company. Any false information may lead to immediate disqualification for hiring. Resumes should be clear and concise. Applicants must refrain from giving out information that does not concern the job they wish to apply. Review the resume to fix errors or typos before submitting it. Prior to the interview, conducting research on the company is important. Applicants who send applications often will find it easier to answer questions given during their interview. Knowing more about the food retail industry increases one’s chance of getting the job. Brookshire’s Food and Pharmacy plans to improve, modernize, and grow through the years. They believe that ethical business principles, honesty, and integrity can lead to their success. Last April 11, 2016, the company announced that they will be transitioning to cage-free eggs by 2025. They will be working with suppliers through the transition, ensuring that the produce will be affordable for customers and animal cruelty free. This food retail store is popular for their excellent services, involvement with environmental stances and generosity towards their patrons. The company believes that the people come first. They look for ways to serve their clients better. Each year, Brookeshire’s Food and Pharmacy donates millions of products and dollars to charity. They collaborate with multiple food banks and sponsor food drives for the community.